Life does become boring and repetitive when we do the same thing over and over again. If you are bored of following the same routine of partying, pub-hopping or moving along aimlessly in shopping malls, then here is the perfect antidote. Bangalore is blessed to be surrounded by places that are perfect to bring sanity back into your life. Plan for road trips around Bangalore and get some much-needed peace. Looking for that perfect one day trip this Sunday? Visit Savandurga hills which are one of the largest monoliths in Asia. It includes the twin peaks of Billiguda and Kariguda. An early morning trek to the top of the hills provides a wonderful break from city pressures. A calm atmosphere and a stunning view from the top await you once you complete the trek to its peak. An abandoned, crumbling fort makes for interesting exploration. If you are a movie buff, then you will recognize this scenic place as “Ramgarh” from the iconic Hindi movie, Sholay. Ideal for a one-day outing, Ramanagaram is dotted with massive rocks, boulders, and caves. Mysore Road is the best route to take to reach here as you can reach in less than two hours. Go ahead and choose Ramanagaram for a quick day trip with friends or family. If an early morning drive to the outskirts of the city is on your mind, Nandi Hills is definitely the place to choose. Make sure you leave your home early enough to reach before dawn breaks. Nandi Hills offers a breath-taking sunrise and is worth the effort of waking up pre-dawn. The peace and quiet you will experience here is invaluable and will rejuvenate you for the rest of the week that lies ahead. A fortress known as Tipu Sultan’s Summer Palace is worth visiting here too. Located in the backdrop of the splendid Savandurga Hills, Manchinbelle is a massive water body that attracts tourists all year round. Water sports like raft building and kayaking are extremely popular here and are ideal to get that adrenaline pumping. Add a marvellous sunset point, and a huge variety of birds to this and Manchinbele proves to be an ideal destination for the nature lover in you. 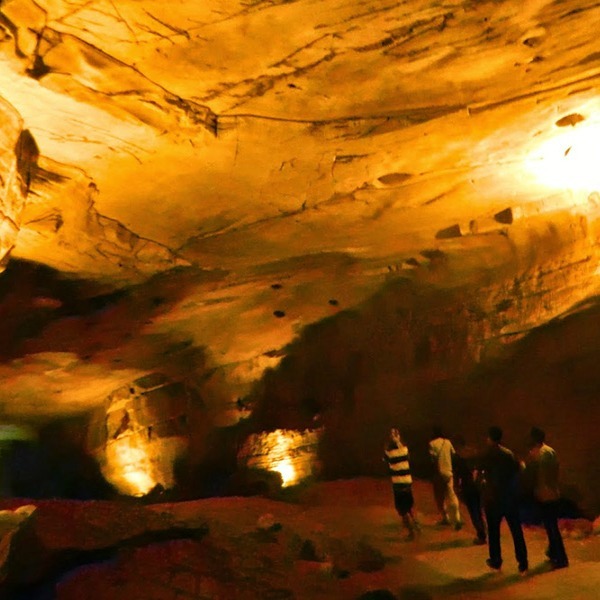 Located in Kolar, its convenient travel distance and an opportunity to explore age-old caves make Anthargange the perfect place for a road trip near Bangalore. It offers trekking options for those who are up to it since the area is made up of hillocks from boulders and volcanic rocks. Don’t forget to carry that camera for some truly exclusive pictures from the top. This age-old hill fortress proves to be an ideal one-day trip destination from Bangalore. It is also known as Kalavara Durga (fort). It has gained tremendous popularity amongst trekkers who begin climbing in the night and reach the Skandagiri peak just in time to witness the most spectacular sunrise this region can offer. You can take the NH 44 and reach Pappagni Math, park your vehicle and begin the trek. Choose the November to January period if you want to get enveloped in the misty environs of this romantic place. At the confluence (Sangam) of two mighty rivers Cauvery and Arkavathy lies the scenic picnic spot of Sangam. Its picturesque beauty is the result of the pristine white gushing waters of the two rivers and the massive rocks that it passes through. Choose a time immediately after monsoon to capture the greenery and powerful currents of water on camera and in your memory forever. This is a small hillock that is surrounded by massive boulders and greenery. It offers some stunning views of the entire landscape and has a couple of temples that are calmness and serenity personified. This popular holiday spot has River Cauvery for company alongside it and is a serene place with that perfect touch of wild in it. If you love adventure sports, then make sure you indulge in kayaking, rappelling, zip-lining and Burma loops during your trip. It is set in a lush green forest area that houses elephants, deer, turtles and snakes. Watch out for the largest tropical game fish, the Mahseer in the calm waters here. Grab an overnight bag and take your family on a surprise road trip from Bangalore to the heritage site of Lepakshi. This is the place in Ramayana where Lord Ram gave moksha to Jatayu the bird, hence the name Le (rise) Pakshi (bird). Check out the hanging pillars at the site that reminds us of the architecture of the Vijayanagar Empire. The pillars are intricately carved while the main sanctum has a massive on its main sanctum. Touted to be one of the most sought-after places for road trip near Bangalore, add Hogenakkal Falls to your list of short holiday destinations. 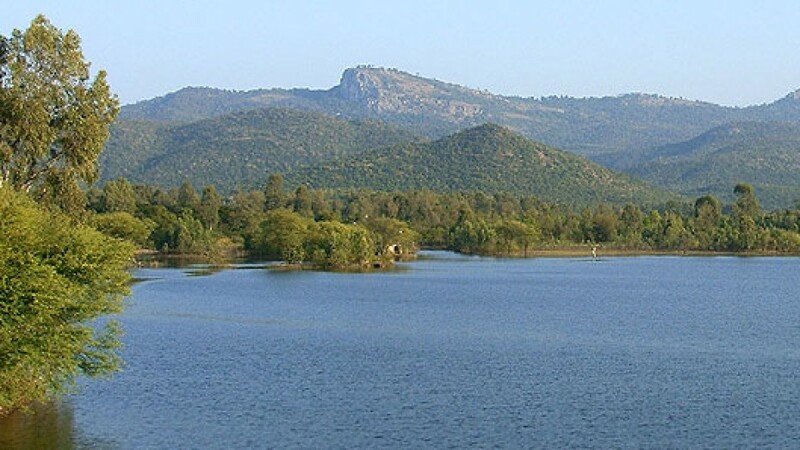 Monsoons are ideal to visit this place since River Cauvery is in its full glory. When literally translated, Hogenakkal means Smoky Stone. It surely lives up to its name, since you can see the cascading water hit the rocky surface below and give an illusion of emitting “smoke”. When you visit the Shivasamudram Waterfall and admire its beauty, you will realize why it is counted amongst the Best 100 waterfalls of the world. You will be amazed by the natural division of water into two streams, Bharachukki and Gaganchukki. These two streams are created when River Cauvery thunders through a 75-meter gorge before it leaps 200 feet into the stone pathway. It is surrounded by the lush green Cauvery Wildlife Sanctuary which should be explored at leisure. Visit this city and you will realize why Mysuru (Mysore earlier) has been rightly christened as the Cultural Capital of South Karnataka. Its skyline is packed with historical palaces, architectural wonders and grand buildings. The world-famous Mysore Palace, which is a World-heritage site, is situated here. Take the state highway that connects Bangalore to it and experience smooth and uninterrupted driving on this four-lane marvel. If the craving to hit the road is at its peak and have a long weekend at your disposal, the following trips from Bangalore are perfect to satiate your wanderlust. A major portion of the BR Hills, as it is otherwise known as, is a protected Tiger Reserve called Biligiri Rangaswamy Sanctuary. Wildlife and greenery are in abundance here and nature lovers will have a whale of a time exploring the area. For a scenic road and less traffic, take the Kanakpura route and spend a memorable time here. This amazing destination is a mesmerizing confluence of green meadows, serene outdoors, wildlife and tranquility. Experience what it feels to get pampered by Mother nature as this scenic river cabin proves to a chilled-out out destination for us city dwellers. Travel via NH 209 for smooth, motorable roads and feel the cool breeze rejuvenated you from your core. Situated in the spell-binding Western Ghats and well-known for its innumerable coffee plantations, Sakleshpur proves to be a wonderful destination for all those road trip lovers out there. This hill station is a great trekking destination and one can also try out many adventure activities here. The salubrious weather all-round the year and loads of scenic beauty gives Sakleshpur a top ranking among destinations for road trips from Bangalore. Surrounded by the lush green Eastern Ghats and packed with tiny plantations on its slopes, Yercaud has captured the imagination of travelers. Enjoy an ultra-scenic drive from Bangalore and capture lifetime memories while on the road with the family. Kiliyur Falls, Pagoda point, Yercaud Lake, Shevaroy Temple and Bear’s Cave are prime areas that deserve to be explored here. Driving down the road with lush plantations on both sides is stuff dreams are made of. Fulfil your dreams by taking a chilled out and probably one of the best road trips from Bangalore with the family to Chikmagalur, a beautiful hill station. The coffee plantations and greenery surrounding the place is bound to relax your senses. While you are here a jungle safari at the Kudremukh National Park is a must along with a visit to the Sringeri Mutt temple. What do you call a place that has splendid waterfalls, lush tea and coffee plantations and a climate to die for? Well, Coorg wouldn’t be quite off the mark. Driving to this place with the family or a romantic partner is like experiencing heaven on earth. You can watch the magnificence of Abbey Falls and wonder about the glorious Madikeri Fort in Coorg. Become one with the Lord at the grand Omkareshwara temple which offers some truly calm and peaceful moments. If you are planning to spend some quiet time in the company of loved ones, opt for Wayanad during your next road trip. It lies in the state of Kerala and has a host of things to do on its holiday agenda. Trek up to the Chembra Peak that is nestled amongst a lavish spread of green if you want to get those lungs full of fresh oxygen. A safari ride at Tholpetty Wildlife Sanctuary is highly recommended to see nature in its full glory. The picturesque Mysore State Highway is a wonderful driving experience when you leave for a long and relaxed holiday to Ooty. To reach this ultra-popular hill station of the south, you will pass through the dense forests of Masinagudi and Bandipur. The 32 hairpin bends make this road trip a memorable one for all those who experience it. The cool and fresh air of Ooty is like icing on the cake for most travelers. Set at a dizzying height of 1800 meters and blessed with a chilly climate all through the year, Coonoor has retained its old-world charm. It is the second largest slope station in the Nilgiris and proves to be a great destination for a memorable road trip. The aromatic tea gardens add to the dreaminess of the place that Coonoor is. Pondicherry is a quaint colonial town, which is probably one of the finest destinations for road trips. It is not only the destination but the journey too that proves to be a memorable one. Check out the brilliant French architecture and revel in the past at the French War Memorial. The town is a huge favourite amongst holidayers and students who flock here to visit the Promenade Beach and the Aurobindo ashram. The street food at Pondicherry is not to be missed so go ahead and pamper your taste buds with some regional delicacies. What was once the proud center of the Vijayanagar Kingdom, Hampi now is a forgotten empire as historians call it. The presence of the ancient Virupaksha Temple and many other age-old monuments make it a UNESCO World Heritage Site that is an explorer’s delight. Since you are traveling from Bangalore, take the Bellary to Hiriyur route to experience hassle-free driving from Chitradurga to Hospet is a nightmare for drivers. If you want to create a truckload of fantastic memories to last an entire lifetime, then a road trip is all that you need to embark on. Choose your destination depending on the time you have on hand. It can prove to be a life-changing experience and keep you supercharged for weeks to come…until the next road trip.